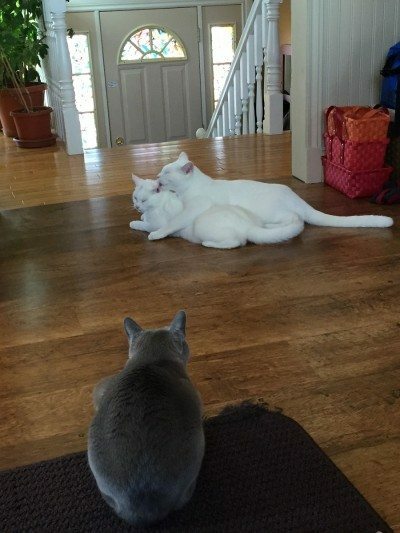 After almost 2 months, Alaska, our nearly 8 year old blue Burmese cat still can’t get close to Casper and Lily. She tries although every time she takes a sniff, the hiss and growl come out of her mouth. 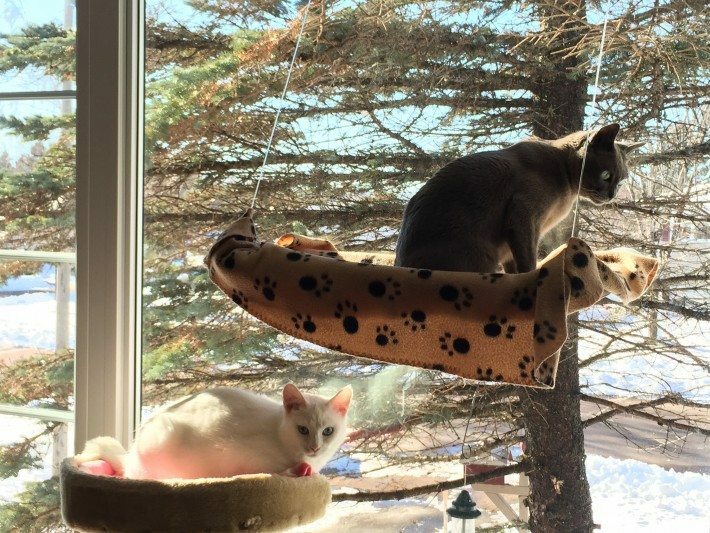 When we had our first snow, Casper and Lily were so excited! It was so much fun to see. I keep saying snow or no snow we’ll have a white Christmas! 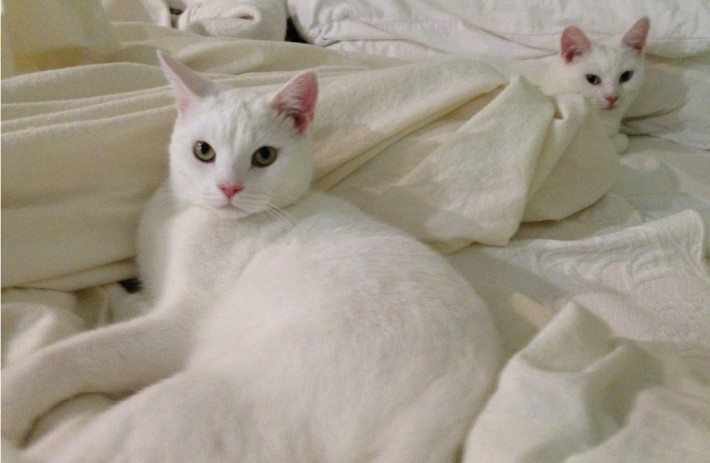 Casper & Lily enjoy the warm flannel sheets fresh from the dryer. 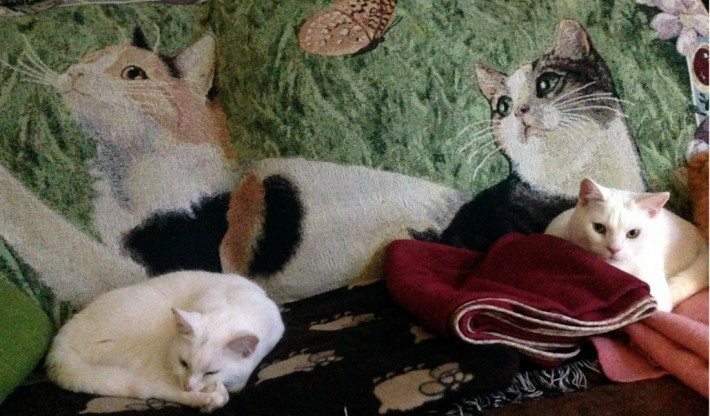 Lily and Casper have a little nap on the sofa with the large decorative cat rug…I guess we’re becoming those crazy cat people! Previous Previous post: Two Spoonfuls of Sugar make The Medicine Go Down, in The Most Delightful Way!